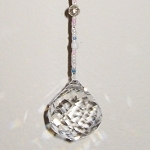 Wear this rose quartz Buddha pendant to increase your odds of getting pregnant and having a successful pregnancy. 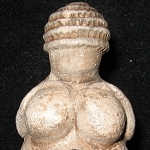 The Fertility Buddha Necklace is a powerful, unique, and highly symbolic piece of jewelry. Rose quartz is a pink semi precious stone that is believed to improve fertility, eases childbirth, calms children, and promotes love. 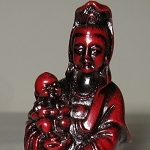 Protect yourself, your pregnancy and your baby with this Feng Shui amulet symbolizing good fortune, longevity, and abundance. 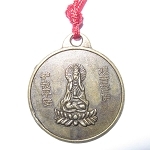 Rose Quartz Ho Tai Buddha Head Charm is approximately 1 1/2 inches high and 1 1/4 inches wide. Rose Quartz Buddha Necklace is 18 inches long and has a clasp. Pendant has been energetically cleansed and programmed to amplify the powerful energy and Feng Shui properties of the Rose Quartz.